Episode 256: Fall of Finales, A.A. Gill | Book Fight! 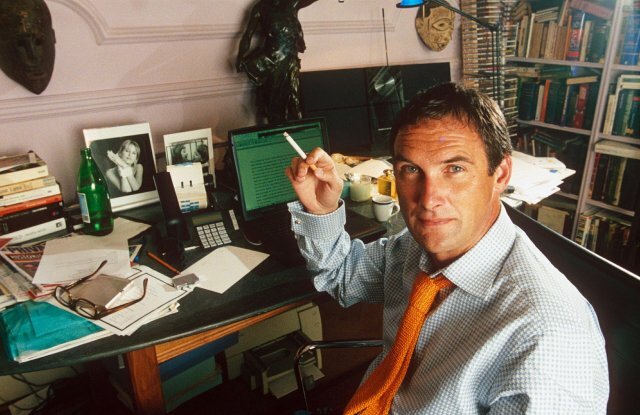 This week we’re diving into the work of the late A.A. Gill, a famous British journalist and essayist who died of cancer at the tail end of 2016. His final book, Lines in the Sand, collects a bunch of his journalism, including the pieces he wrote about European refugee camps. Gill started his writing career after sobering up in his early 30s, and was once Great Britain’s highest-paid columnist. He regularly reviewed restaurants, wrote about TV, and delved into various kinds of cultural criticism. Neither of us knew much about Gill, or his work, before doing some research for this week’s episode. So we tried to look at pieces of his covering a wide spectrum of topics. This week we also talk about the rather bizarre Future Library Project, which you can read more about in this New York Times article. And we bring back a long-dormant segment about Tom’s cargo sweatpants.